Though today’s bar graders have a vastly different design to the original concept, the underlining principle remains the same – uncompromisingly accurate grading at all times. When it comes to grading conveyors, nothing short of perfection will satisfy us. With our vibratory bar grader, we exceeded all expectations. This machine can grade potatoes and similar root crops of all shapes and sizes into two or three grades to a maximum throughput of 30 tonnes per hour. We’ve maximised versatility while minimising both downtime and changeover time. And our machines are built to last. You can look forward to years of reliable operation, no matter how heavily you use it. It’s already used by the UK’s leading processors. It’s easily adjustable for grade changes, and as it’s often the first conveyor used after a flume system, it can be adapted to dry and grade produce simultaneously. The Cox & Plant The Bar Graderveyor™ is truly a dual-purpose machine. We’ll tailor our design to suit your specific requirements. When it comes to The Cox & Plant Bar Graderveyor™, you have a range of customisation options. We can add a mechanism to allow your line operatives to carry out easy calibration, even when the line is in operation. We can add de-watering and calibration functions. And if we place your system on a mezzanine floor, we can make use of gravity to increase the efficiency of your product flow. The Cox & Plant Bar Graderveyor™ is an innately flexible system. It’s particularly suited for whole potato processing and can be fully adjustable for grade and diameter changes. However, it can also be used to grade different size products, and even different types of products. You also have a choice of optional extras. For example, we can fit your system with automatic or manually operated gates. 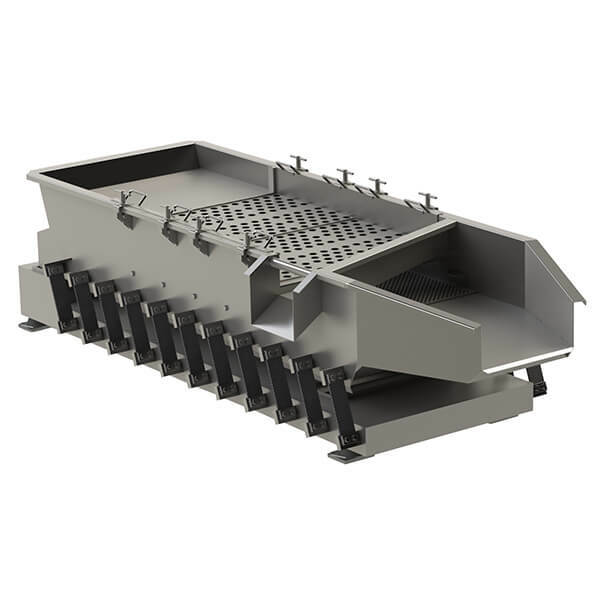 We can incorporate product diverters into the design, as well as flared infeed and bias discharge systems. The Cox & Plant Bar Gradereyor™ is manufactured from stainless steel and supplied with a bead blast finish. This guarantees you a lifetime of low-maintenance dependable operation. Find out more about our advanced grading conveyors.